Rep. 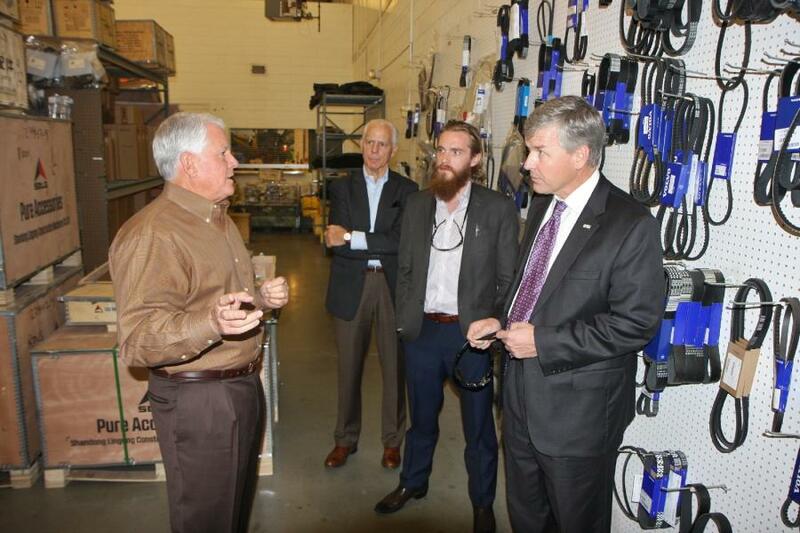 Rob Woodall (L) and Jack Evans, general manager of ASC Georgia, discuss the equipment dealer’s operations in Buford, Ga.
Rep. 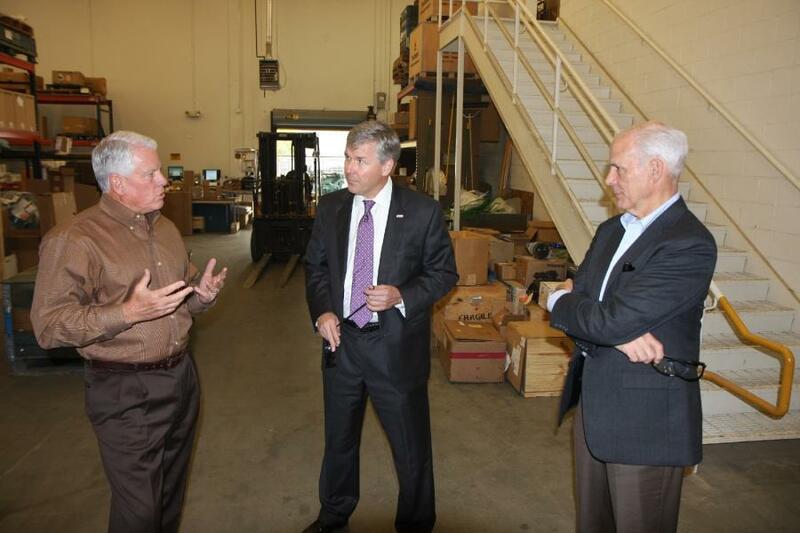 Rob Woodall (R-GA) visited ASC Construction Equipment in Buford, Ga., on Nov. 10. Woodall is a member of the House Committee on Rules, the House Committee on Budget and the House Committee on Transportation and Infrastructure. According to the Associated Equipment Distributors (AED), which helped coordinate the congressman's visit to ASC, Woodall has a 100 percent voting record during the 114th Congress on the industry's top policy priorities. • Expanding domestic energy production. 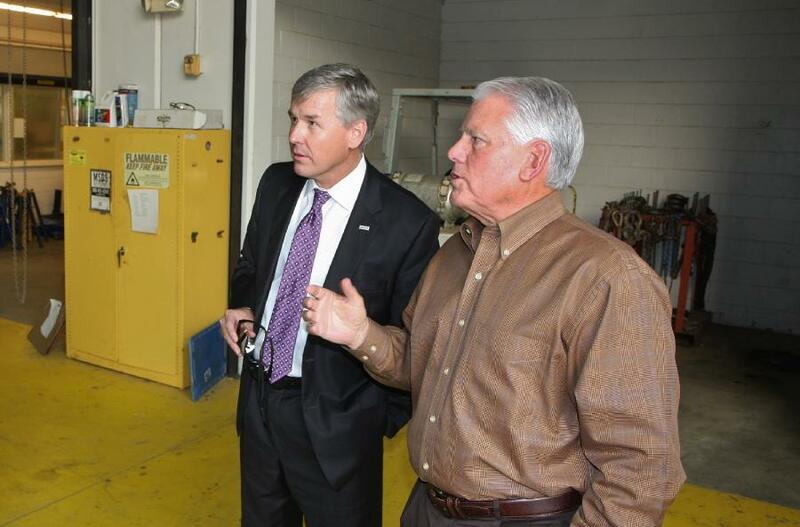 During his visit to ASC, Woodall toured the equipment dealer's facility and met with employees. ASC Construction Equipment is an authorized construction equipment dealership representing Volvo, Sandvik and other manufacturers at 12 different locations throughout North Carolina, South Carolina, Tennessee, and Georgia. For more information, visit http://www.volvoce.com/united-states/en-us/ascusa/.